NEW YORK, NY (Mar. 12, 2011) – Boxing is back at Foxwoods. DiBella Entertainment announced today that the World Boxing Council (“WBC”) Welterweight title fight between undefeated, defending champion Andre Berto and challenger “Vicious” Victor Ortiz will be take place April 16 in MGM Grand Theater at Foxwoods in Mashantucket, Connecticut, the site of tonight’s middleweight title showdown between Sergio Martinez and Sergiy Dzinziruk. Berto vs. Ortiz is presented by DiBella Entertainment, in association with Golden Boy Promotions. The bout will be televised live on HBO World Championship Boxing. Tickets are priced at $350, $200, $125, and $65 and will go on sale Wednesday, March 16 through the MGM Grand at Foxwoods box office. Tickets can be purchased online at www.mgmatfoxwoods.com, by calling the MGM Grand at Foxwoods at 1-866-646-0609, or in person at the MGM Grand at Foxwoods box office. Berto (27-0, 21 KOs), a 2004 Haiti Olympian fighting out of Miami, captured the WBC welterweight belt in 2008 by stopping Miguel Angel Rodriguez in the seventh round. 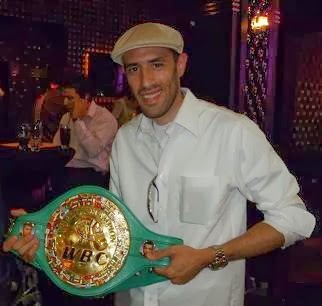 The lightning-quick Berto has made five successful title defenses, in order, against world champions Steve Forbes (DEC12), Luis Collazo (DEC12), Juan Urango (DEC12), and Carlos Quintana (TKO8), as well as veteran Freddy Hernandez (TKO1) last November. Former NABO/USBA title holder Ortiz (28-2-2, 22 KOs), fighting out of Oxnard (CA), is a crafty southpaw who has won four of his last fight fights with one draw. His most notable victories have been against world champions Vivian Harris (KO3), Nate Campbell (DEC10) and Carlos Maussa (KO1).